Golf, sport, is a life-long pursuit. Acquiring any skill takes time…time…time…and more time. The most frustrating part is the speed at which it passes…you by. According to Matthew Syed (Bounce), 10 thousand hours are needed to “master” a skill, in his case, table tennis. Playing hopefully once a week, at the range twice a week, I’m only at 6 hours weekly, 24 hours monthly, 100 hours annually. At this rate, I will have golf mastered by age…143…maybe I should remain focused on my main sport…fatherhood. 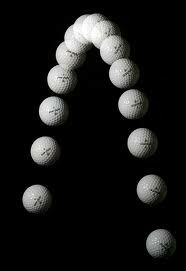 But, is mastery the point, or even possible, with golf…sport. Yes, for some who have dedicated their lives to it. And this brings me back to “daddy caddy”. At this point, I have been a father for 80,000 hours, and have much more time to go. This is the time that I can not afford to worry about outside pursuits as much, but keeping the life balance in check because time waits for no man. Fortunately, winter be short, and summer be long…like my patience.